Introducing a new member to KHD family, Mr.Anoop Anandarajan. This is a mixed elevation of contemporary, Victorian and Kerala style. 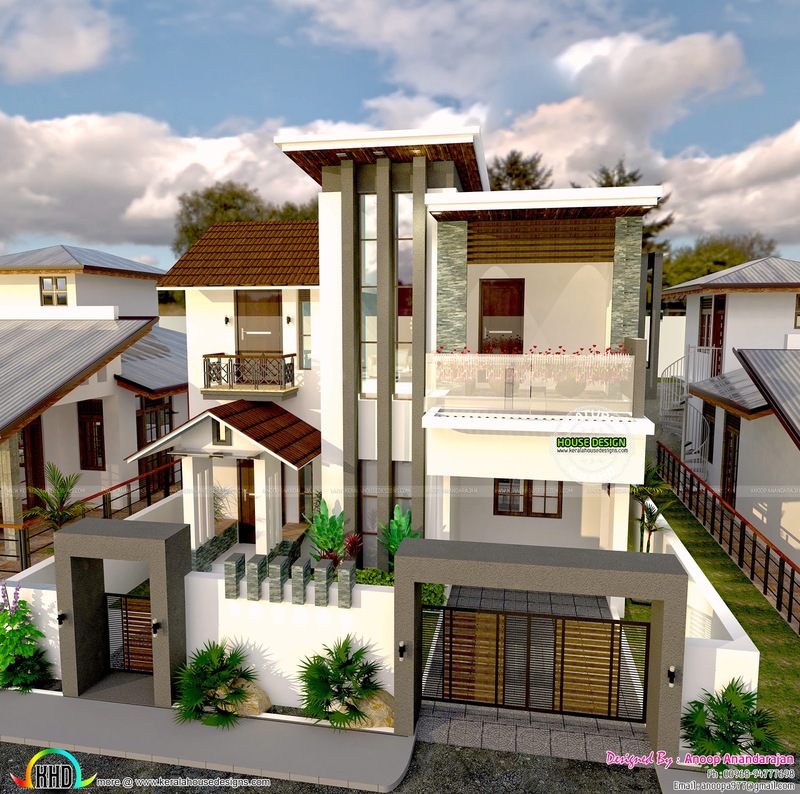 The designer provided the blueprint of the house. Total area of this house is 1185 square feet (110 Square Meter) (132 Square Yards). 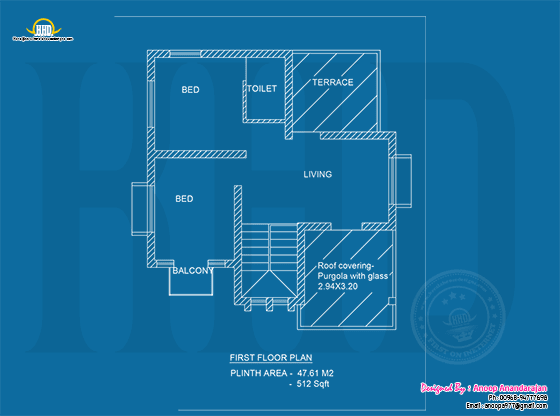 1 bedroom placed omn the ground floor and 2 on the first floor. 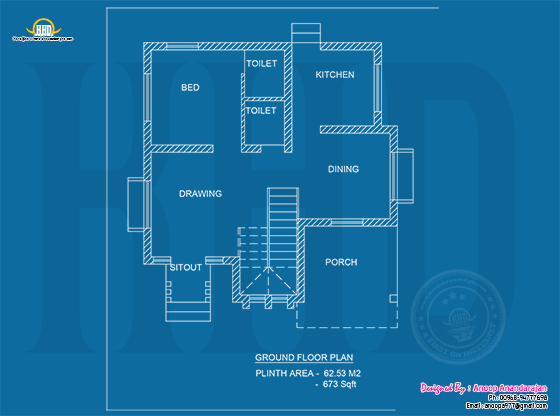 Ground floor area : 673 Sq.Ft. First floor area : 512 Sq.Ft. 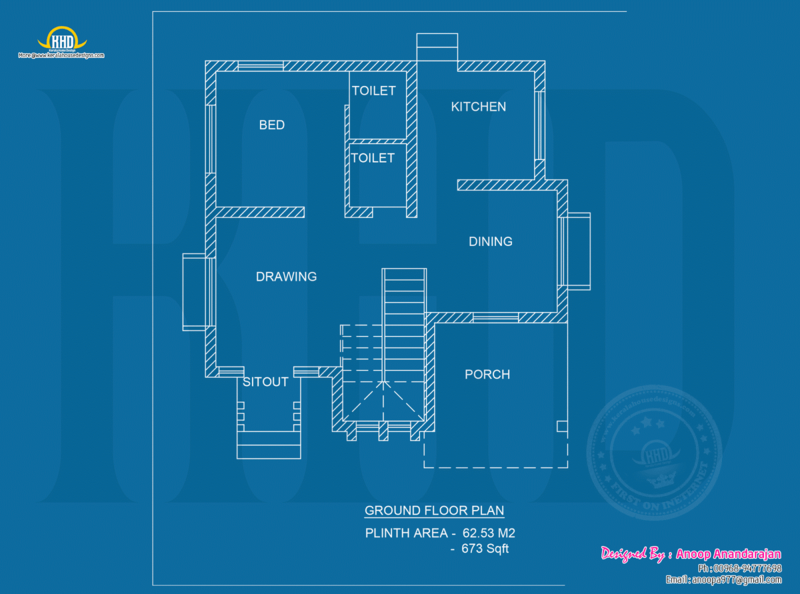 Total area : 1185 Sq.Ft. 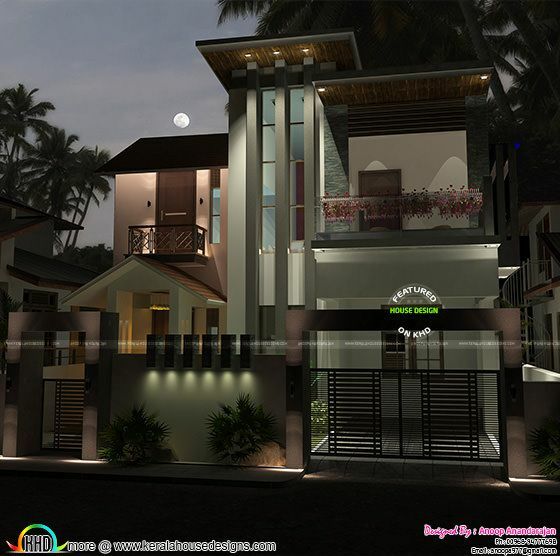 0 comments on "Day, night view and blueprint of modern house"